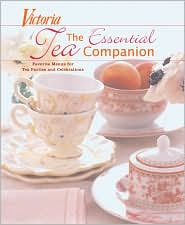 I brought this book home from the library this week...Victoria's The Essential Tea Companion. It's very reminiscent of the earlier tea books published by Hearst under the Victoria name, but it's always a treat to look at beautiful tea settings. The recipes sound delicious, and I'm in the mood for a bit of baking. 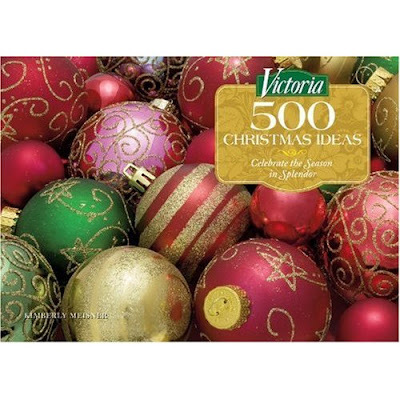 Another beautiful book recently released is Victoria's 500 Christmas Ideas. This book also recycles photos from Victoria magazine...the "old" Victoria...and it reminds me why I love the old magazine. Today's a day off...I have the pleasure of working Saturday AND Sunday, so I plan on enjoying my Friday puttering around the house and yard.